American serial killer Rhonda Bell Thomley Martin was born in 1907 to her father James Robert Thomley and her mother Mary Frances Grimes who died in 1944. Rhonda was a 49-year-old waitress in Montgomery, Alabama when she confessed in March 1956 murdering some of her family members. She said that she poisoned her mother, two of her five husbands, and three of her five children and claims that she did not kill two of her other children. An article that was published in LIFE Magazine mentioned that Rhonda like the feeling of receiving get-well cards and sympathy cards for her victims and she took good care in burying them side by side in a private plot in the cemetery. Rhonda"s 5th husband, Ronald Martin was also her former step-son. Rhonda poisoned him, but he survived the poison but was paraplegic after. Ronald"s illness led authorities to become suspicious and start investigating the many mysterious deaths that surround Rhonda Martin. She committed her killing spree from 1937 to 1951 and was arrested in March 1956 for killing her victims with poison. - Rhonda married W. R. Alderman in 1922 and separated in 1926. - Rhonda married George W. Garrett in 1928 and died in 1939. - Rhonda married Claude Carroll Martin in 1950 and died in 1951. - Rhonda married Ronald Martin in 1951 and separated in 1957. Ronald was formerly her step-son. It is believed that Rhonda went on her killing spree to collect life insurance money, but that may not be true because she received enough money to cover the burial expenses. Rhonda Bell Thomley Martin was convicted of murdering her fourth husband, 51-year-old Claude Carroll Martin by putting rat poison in his food in 1951. 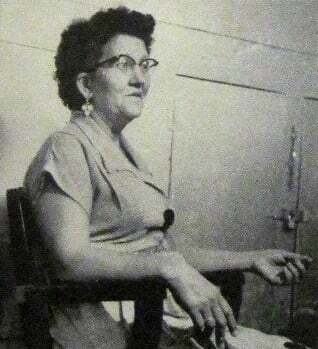 Rhonda Martin was executed on October 11, 1957, with the electric chair in Kilby Prison in Montgomery, Alabama and was buried in Montgomery Memorial Cemetery. Rhonda Belle Martin serial killer is a female serial killer. Rhonda Bell Thomley Martin is a female serial killer.